The theory of the Lebesgue integral is a main pillar in the foundation of modern analysis and its applications, including probability theory. This volume shows how and why the Lebesgue integral is such a universal and powerful concept.The lines of development of the theory are made clear by the order in which the main theorems are presented. Frequent references to earlier theorems made in the proofs emphasize the interdependence of the theorems and help to show how the various definitions and theorems fit together. 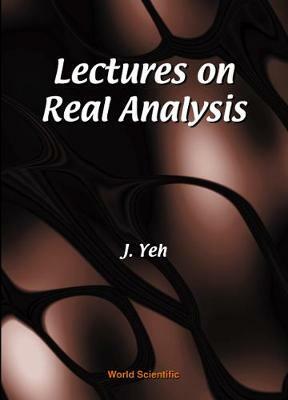 Counterexamples are included to show why a hypothesis in a theorem cannot be dropped.The book is based upon a course on real analysis which the author has taught. It is particularly suitable for a one-year course at the graduate level. Precise statements and complete proofs are given for every theorem, with no obscurity left. For this reason the book is also suitable for self-study.